Do you think it’s better to stand up than to lean in? Do you have achievement dysmorphia? Is your bikini bridge the Verrazano? Syndicated columnist and best-selling expert on women’s humor, Gina Barreca, will talk about getting loud, getting love, getting ahead and getting the first draw (or the last shot). She’ll offer tips, lessons and bold confessions about bad boyfriends at any age, about friends we love and ones we can’t stand anymore, about waist size and wasted time, about panic, placebos and certain kinds of not-so adorable paternalism. The world is kept lively by loud women talking and If You Lean In, Will Men Just Look Down Your Blouse? cheers and challenges those voices to come together and speak up. You think she’s kidding? Oh, boy, do you have another thing coming. Interested in Hiring Gina for Your Event? Contact her to learn more. Gina’s talk was the highlight of entire fall lineup and certainly the most attended. Her huge audience was immensely entertained. People left raving that it had been a fabulous, wonderful evening. —Mary McLaughlin, The Smithsonian Associates, Washington, D.C. There isn’t a tougher audience anywhere than a ballroom full of 1,700 professional speakers, many of whom are humorists. Gina Barreca provoked, entertained and stretched our thinking…and made us all raving fans. —Ian Percy, National Speakers Association and member of the Speakers Hall of Fame. 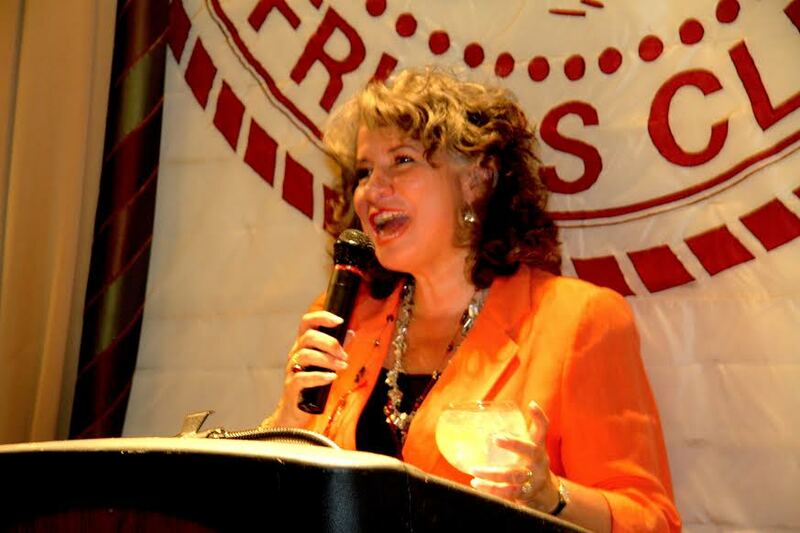 Gina Barreca hosted our annual Authors’ Festival program for over five years, and the audience adored her. She’s brilliant, witty, irreverent and downright funny. People are still talking about Dr. Barreca. She was a huge hit because of her interesting stories, willingness to share personal experiences and insights, and her outrageous sense of humor. She was the centerpiece of the conference and set the tone which was fun, relaxing, and energizing. I recall one member telling me: ‘Gina Barreca was worth the trip.’ That about sums it up. 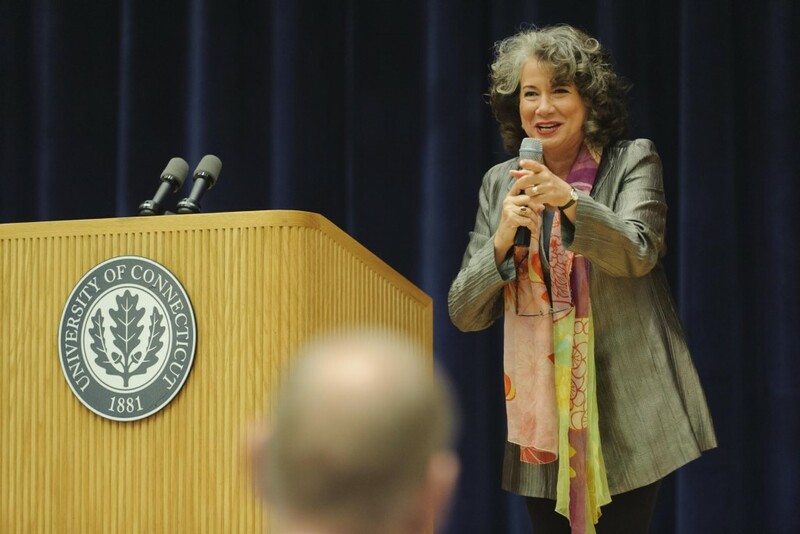 Each year, our lucky students at the Women’s Campaign School at Yale experience the passion, the brilliance, the FORCE, the amazing one woman show that is Gina! Our women, from both sides of the political aisle, as well as from other parts of the world, immerse themselves fully in the sisterhood that only Gina’s unique, personal style can create. In a matter of hours with Gina, all are laughing, thinking, connecting into one fabulous community of extraordinary women. That is the magic of Gina power! Aetna, AFL-CIO Women’s Caucus, American Association of Family & Consumer Sciences, American Board of Obstetricians and Gynecologists, American Payroll Association, Annual Institute on Mental Health and Religion, Association for the Advancement of Psychoanalysis, The Avalon Lecture at Dartmouth College, Barnard College, Best-Selling Author Series (Marymount Manhattan College, New York), Braithwaite Lecturer at the College of William and Mary, Broward County Sheriff’s Department, Chautauqua Institution Lecture Series, Chicago Humanities Festival, CIGNA, Colorado Association of Legal Administrators, Colorado Bar Association, Connecticut Association for Supervision & Curriculum Development, Fleet Capital Corporation, Ford Foundation Transformation Lecturer, Fort Worth Lecture Foundation, The Hartford, Harvard College Women’s Initiative, Independent Schools Association of the Central States, International Society for Humor’s Studies Conference, International Women in Leadership Conference (Australia), The Middle Atlantic Cancer Counseling Association, National Association of Independent Schools, National Intra-mural Recreational Sports Association, New England Library Association, New England Society of Newspaper Editors, New York State Governor’s Tourism Conference, Oregon Women in Higher Education Conference, Pratt & Whitney, Princeton 50th Reunion, The Smithsonian Associates, United Technologies, University of Cincinnati Women’s Leadership Conference, Virginia Women Attorney’s Association, Women’s Dermatological Association, Women in Federal Law Enforcement, Women in Science, Dentistry, Osteopathy & Medicine Leadership Conference, Yale Conference on Health and Fitness, Yale Campaign School for Women. 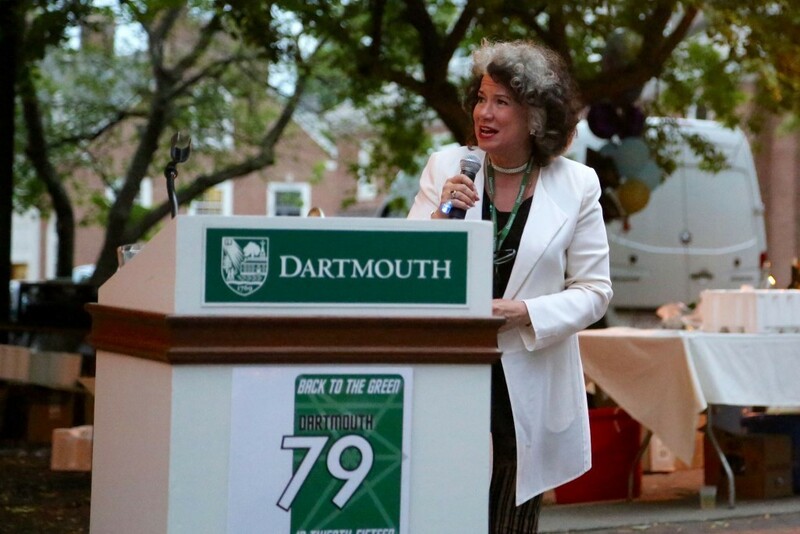 From Fortune 500 companies to the Smithsonian and Chautauqua, Gina Barreca has proven herself to be a provocative and dynamic motivational speaker who wins over her audiences, delights listeners across age, gender and social divides. As a straight-talker and a scholar who borrows her style from stand-up, she’s a leading authority on humor as well as provocative issues in contemporary culture, beloved by fans who have followed her work for years (and often hire her on a regular schedule) and new admirers who are happily discovering her through her latest work. Her celebrated and prominent books, editorials and lectures have guaranteed her place as a leader and an expert. 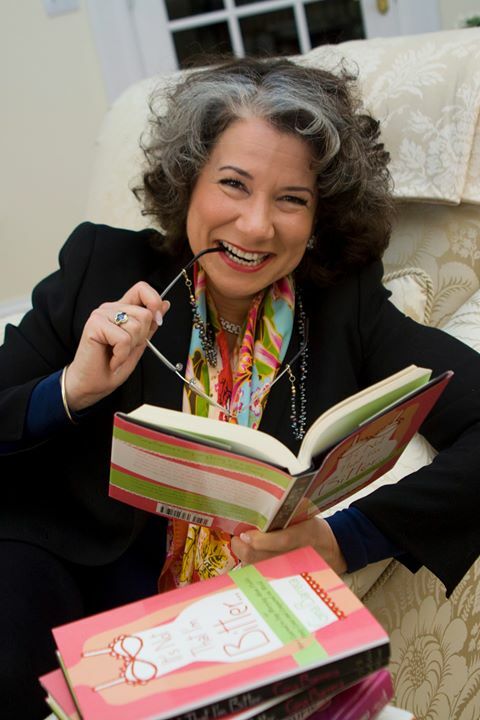 As a keynote speaker, Gina’s enthusiasm and erudition engage groups from fifty to fifteen-hundred—and more— and as a guest on any media platform, she’s a quick-witted team-player, proving in her right how humor is an essential, substantial and irreplaceable part of a rich life.